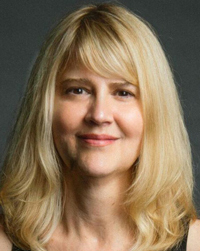 Lisa Ernst is a meditation teacher, artist and founder of One Dharma Nashville. She has been meditating for over 25 years in the Zen and Vipassana traditions and received teaching authorization in the Thai Forest lineage of Ajahn Chah, Jack Kornfield and Trudy Goodman. Lisa offers meditation training, classes, and retreats nationally and teaches meditation internationally. In her teaching, Lisa emphasizes both transformational insight and everyday awakening as an invitation to embrace all of the path's possibilities. As a practicing visual artist, Lisa incorporates dharma into contemplative photography and art making.